A healthier mind and body does not happen overnight. A complete lifestyle overhaul doesn’t either. At Klasinski Clinic, we know that it requires daily habits and lifestyle changes. We see the work athletes put in day in and day out. 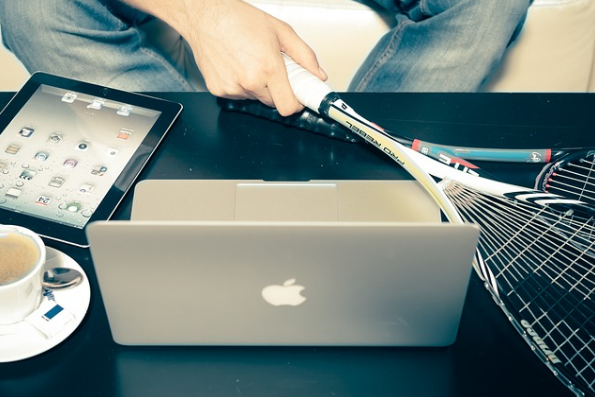 With the popularity of smartphones, fitness has begun to take on a different form. There are hundreds of apps available that advertise how they will help you on your fitness journey, but which can you trust and truly benefit from? 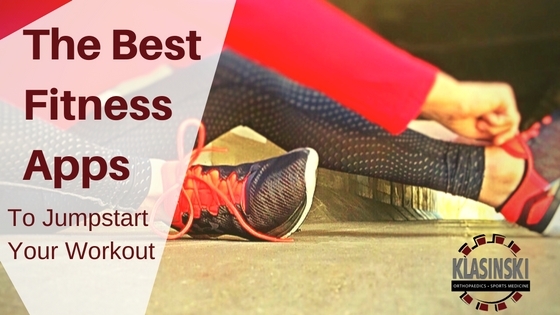 We have compiled a list of the best health and fitness apps to help you get and stay fit. These apps are committed to helping you find time for an impactful workout, keep track of steps and progress, collect stats and coach you to the finish line. This app is one of the most popular nutrition apps on the market. MyFitnessPal is the easiest way to track habits, and it’s not hard to see why. All you need to do is scan the barcode of a product or choose from the company’s database of over 5 million foods. This app allows you to count the calories you consume as well as the calories you expend. It’s an easy way to track nutrition and caloric intake, and it’s a wonderful way of letting you become more aware of your eating habits and the work it takes to burn off the food you eat. MyFitnessPal can also sync with a large variety of popular fitness trackers and apps such as Fitbit, Under Armour, RunKeeper, and MapMyRun. Price: Free for basic use, premium subscription available. If you want to try running or have tried in the past and want to learn how to keep at it, C25K is the fit for you. The app is structured around a free eight-week program centered on tri-weekly workouts to help you build endurance. This app allows you to create music workout playlists and to track different features as you run. It also features programs designed from zero to 10k, 5k to 10k, and half marathon training to help personalize your workout. Looking for a one-stop shop for all your fitness plans? The Nike+ Training Club gives you access to workout videos for a variety of exercises. These videos are available for many ability levels and goal sets. You can benefit from customizable fitness programs, sharing capabilities to compare your progress with others, and an easy-to-use interface. They even offer instructional videos to guide you through each exercise. The Nike+ Training Club also has challenging incentives that allow you to accumulate workout points that unlock premium routines. SworkIt, also known as “Simply Work It,” offers hundreds of instructional exercises demonstrated by professional personal trainers. You can choose from standard workouts, or you can customize your own exercises, workout length, and target areas. A special exercise randomization feature keeps you on your toes and prevents you from getting bored and plateauing in your workouts. With nearly 14 million users and a special section for keeping kids fit, this versatile app is a great choice. Price: Free for basic use, $7.99 per month/$39.00 per year for premium. Endomondo allows you to track your fitness and performance on the app and on your computer. The app guides you to build endurance and even makes it possible to record encouraging pep talks to share with your friends! When the gym gets boring and cardio gets too repetitive, Endomondo will encourage your outdoor workouts and help push you to your limit. There are hundreds – if not thousands – of health and fitness apps on the market. Hopefully, this guide has given you an idea of some of the most popular and functional options available. Now, get out there and get active!